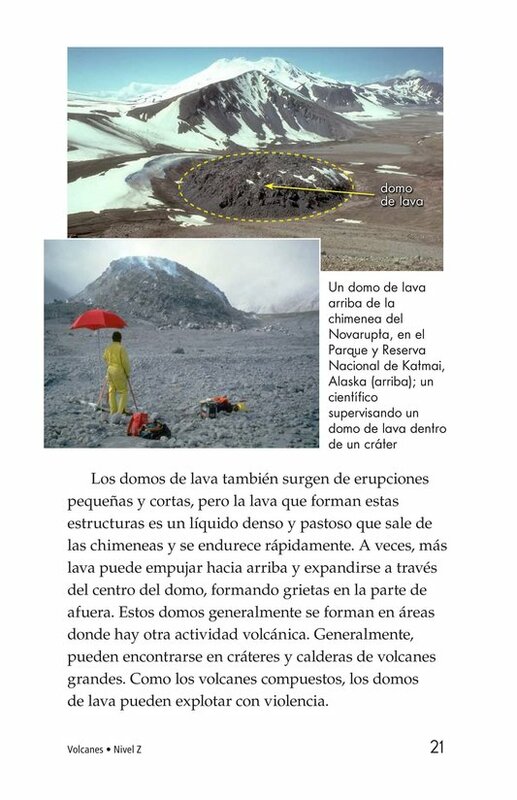 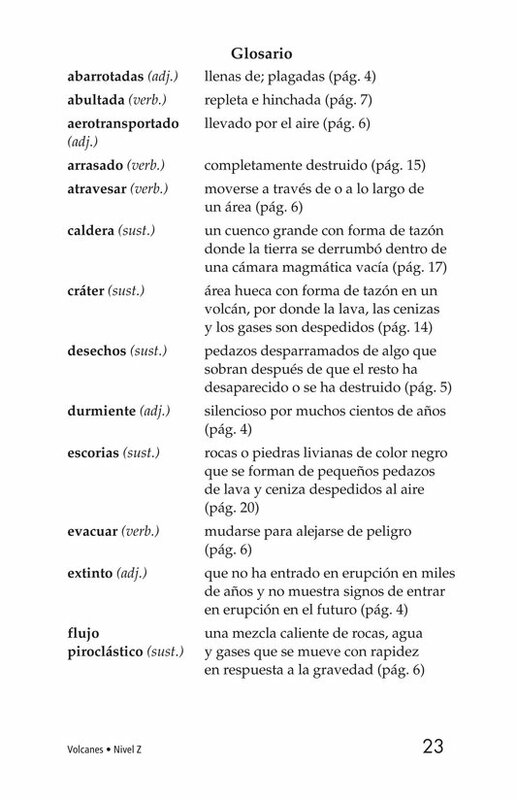 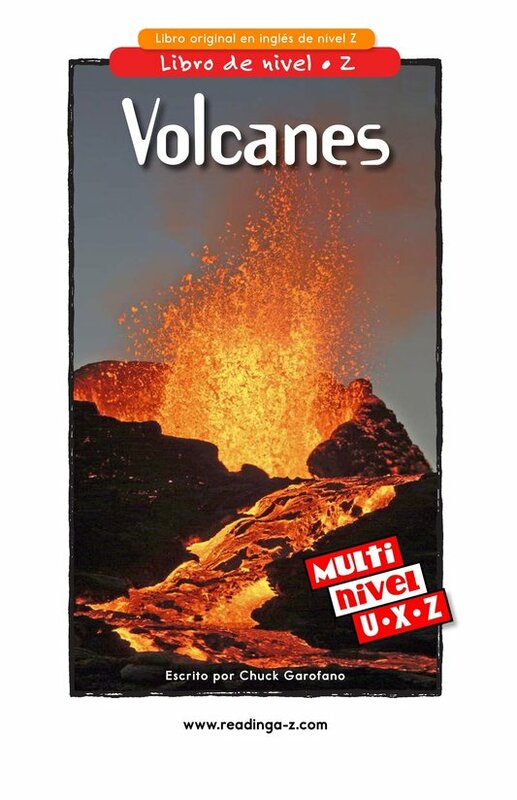 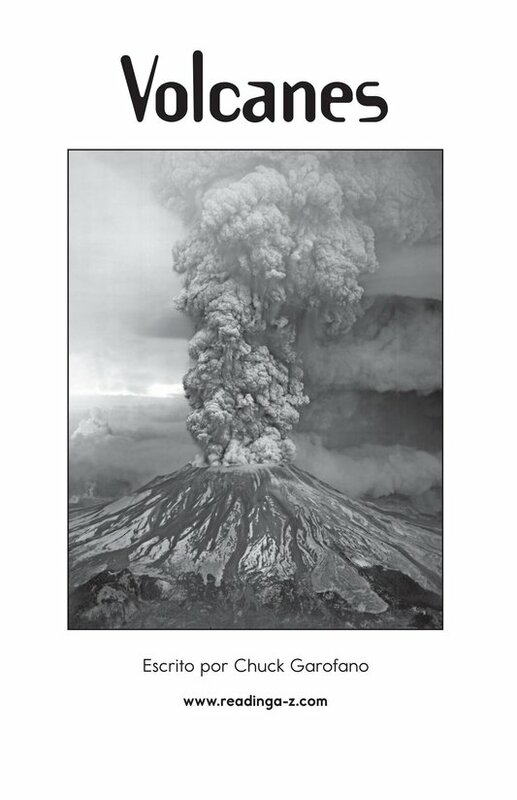 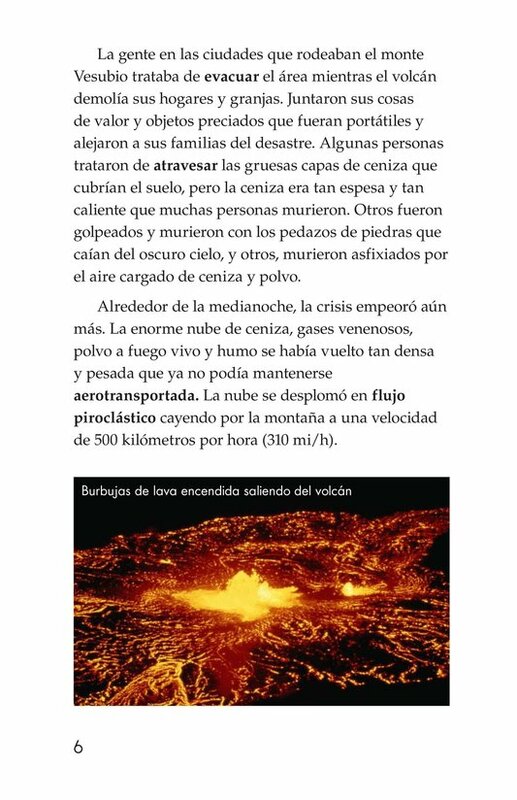 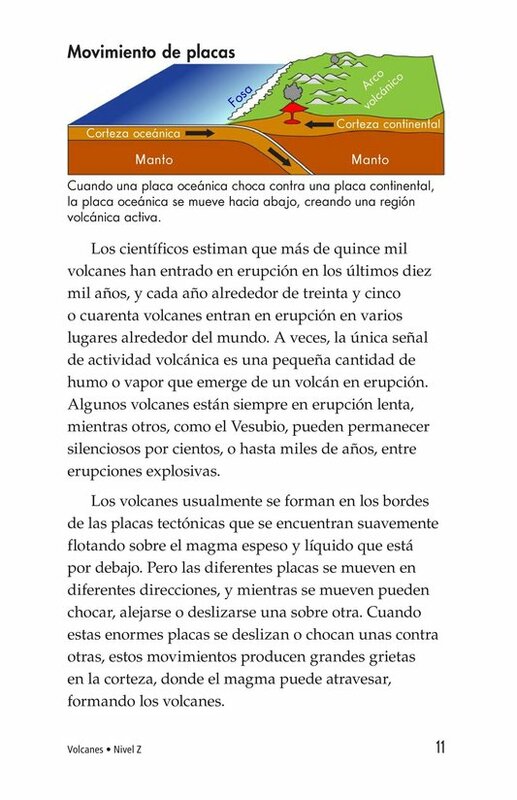 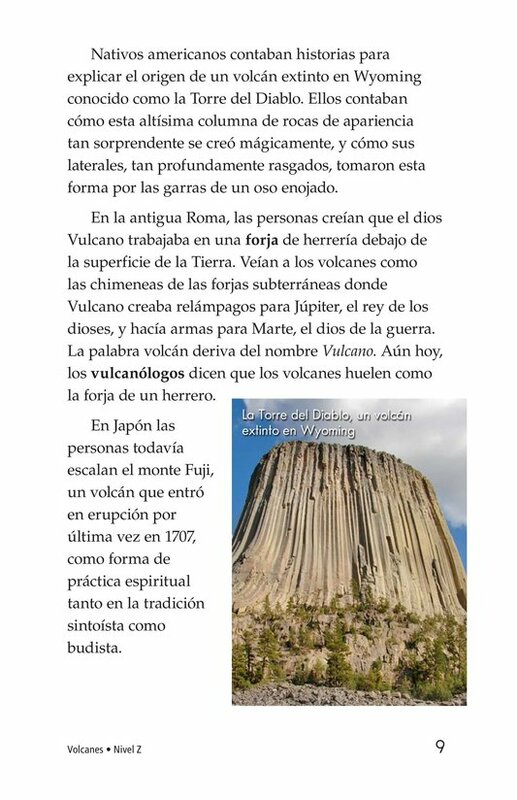 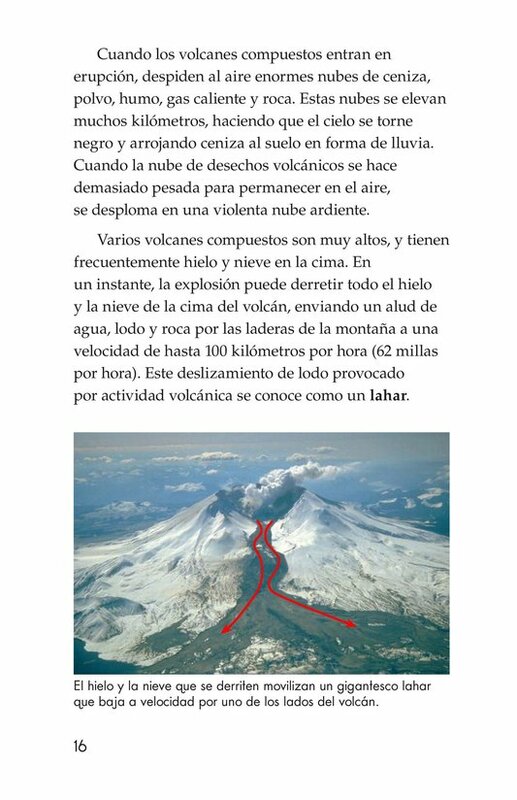 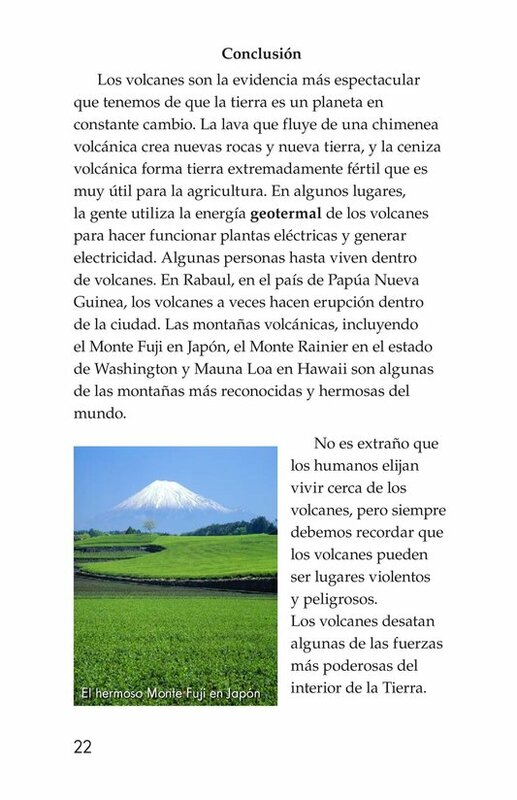 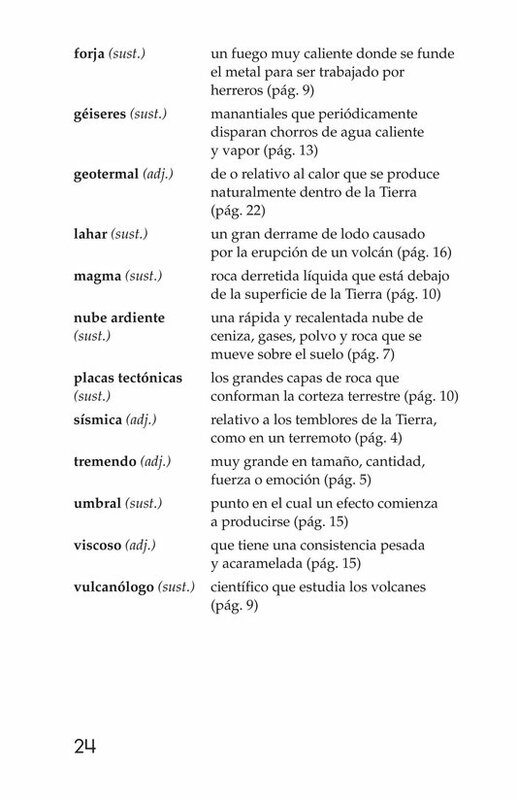 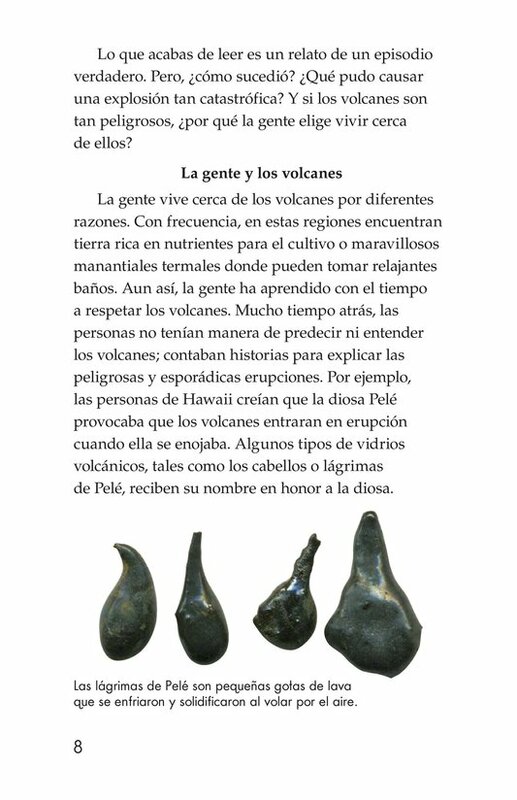 Volcanoes is a factual text that describes how different kinds of volcanoes are formed and how they behave. 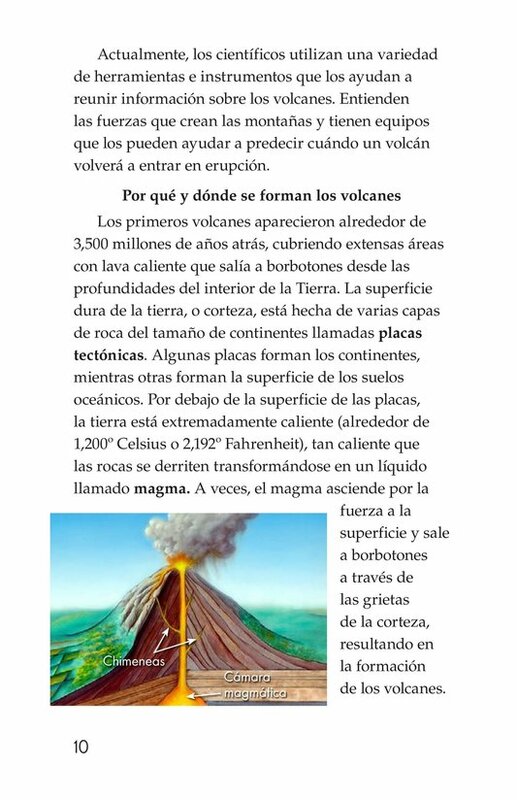 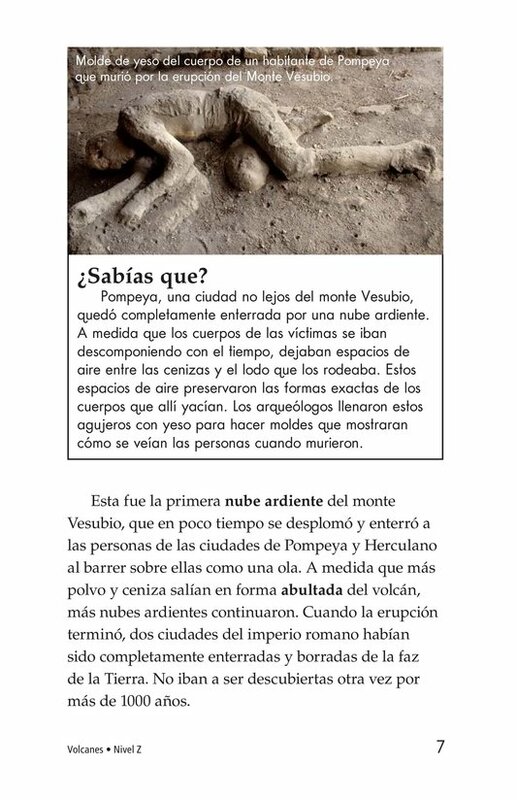 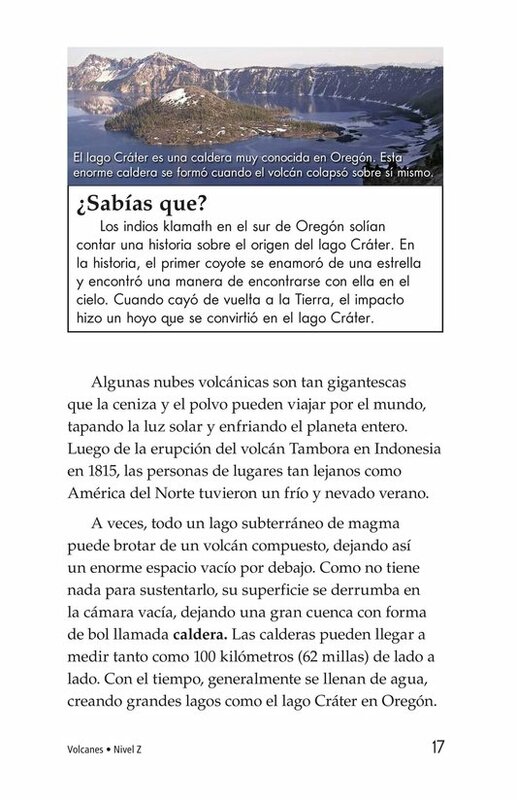 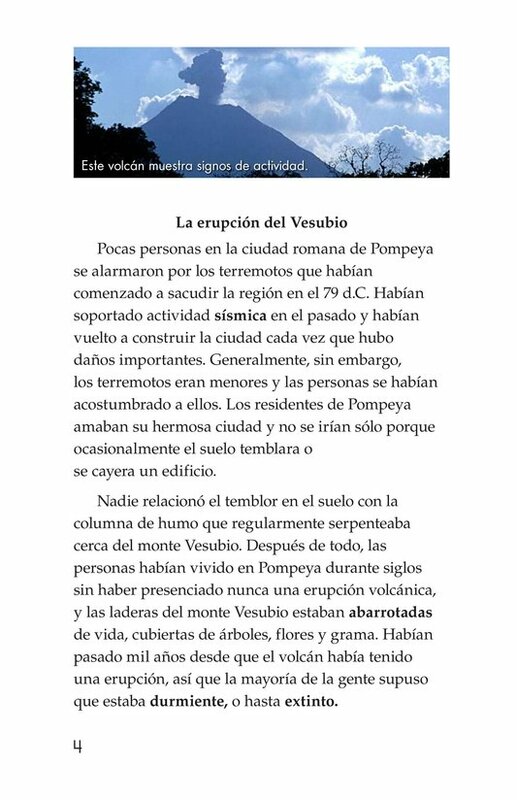 Readers also learn about ancient myths that were fueled by fear of volcanoes. 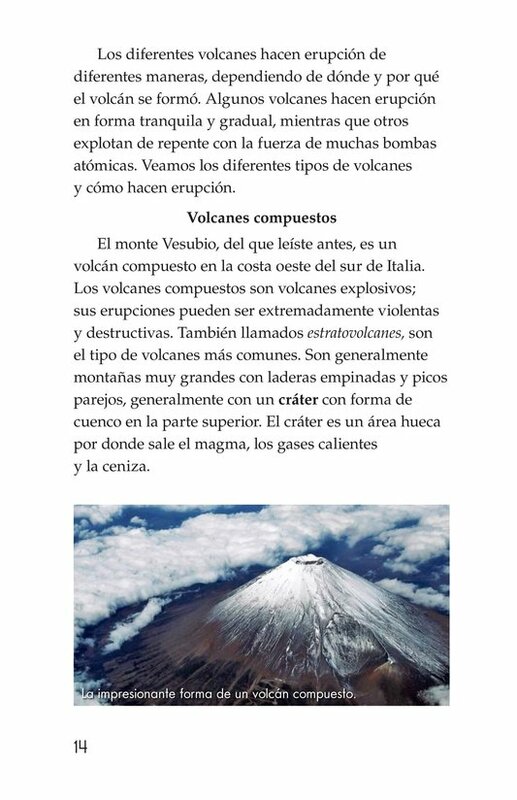 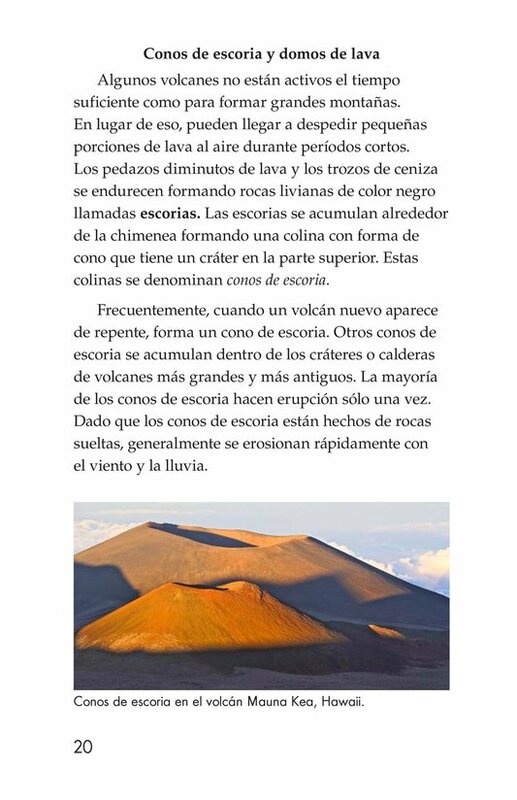 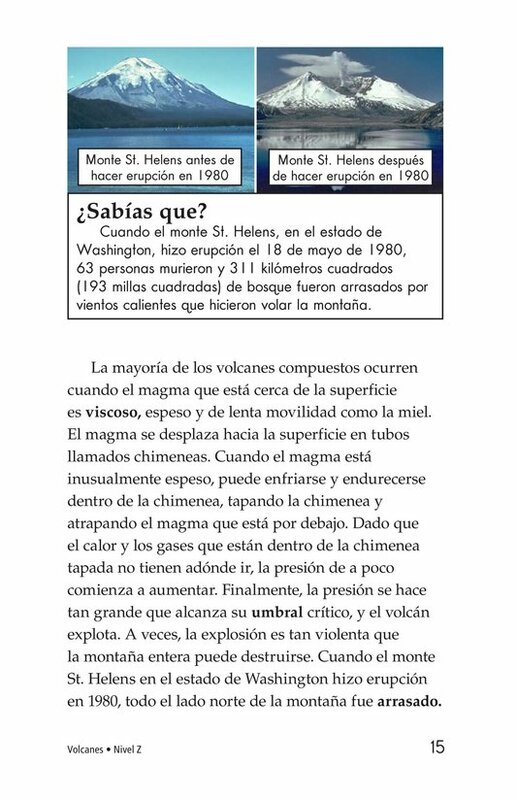 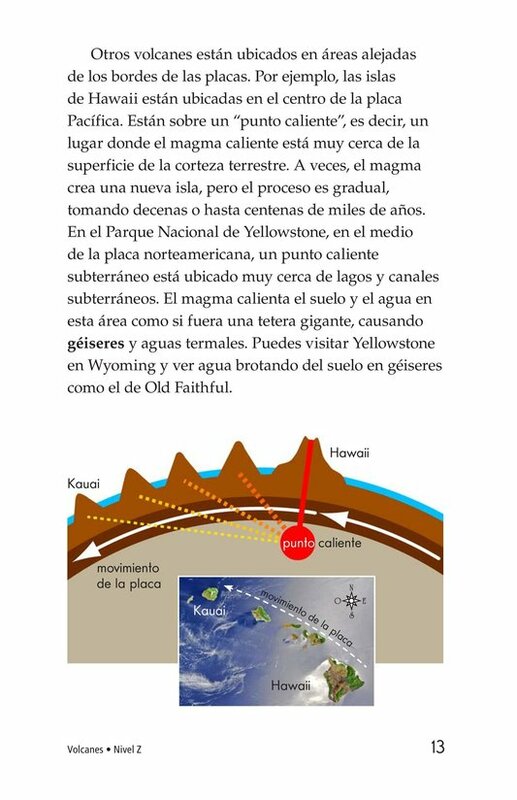 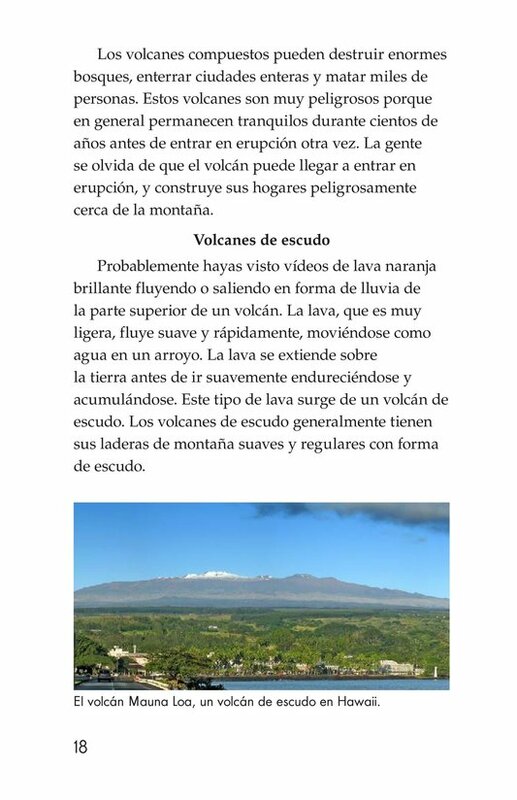 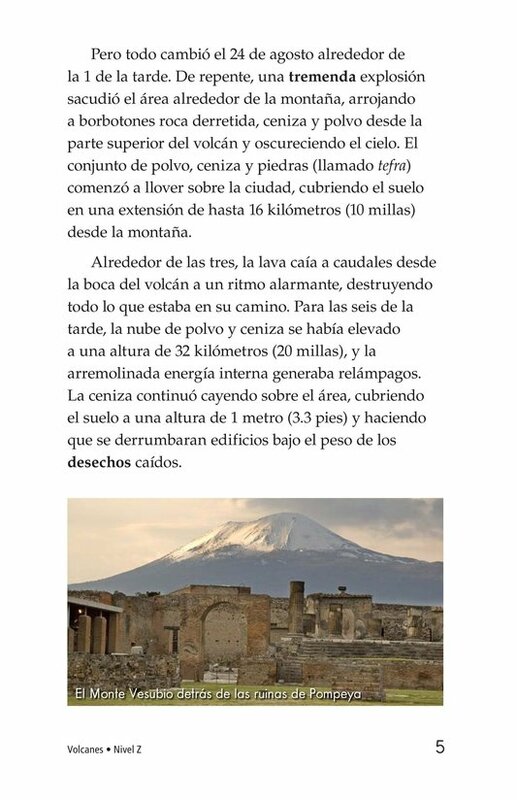 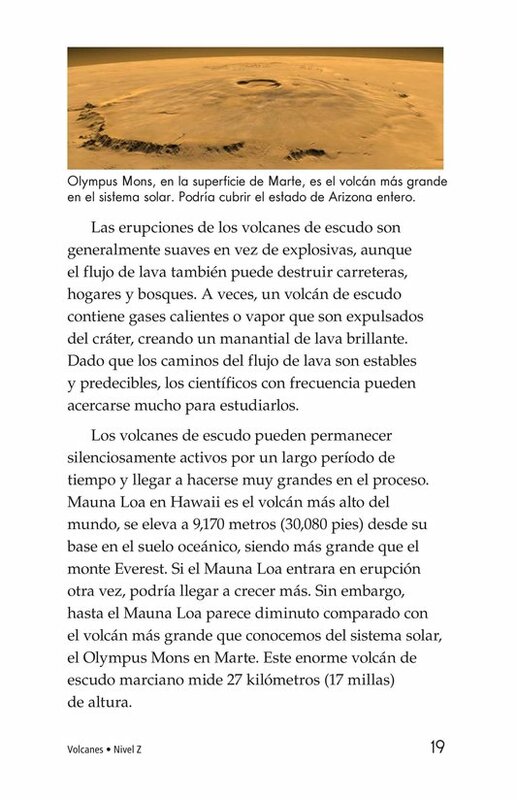 The book gives details about some of the more famous volcanoes, including Mount Vesuvius, Mount St. Helens, Mauna Loa, and Mount Fuji. 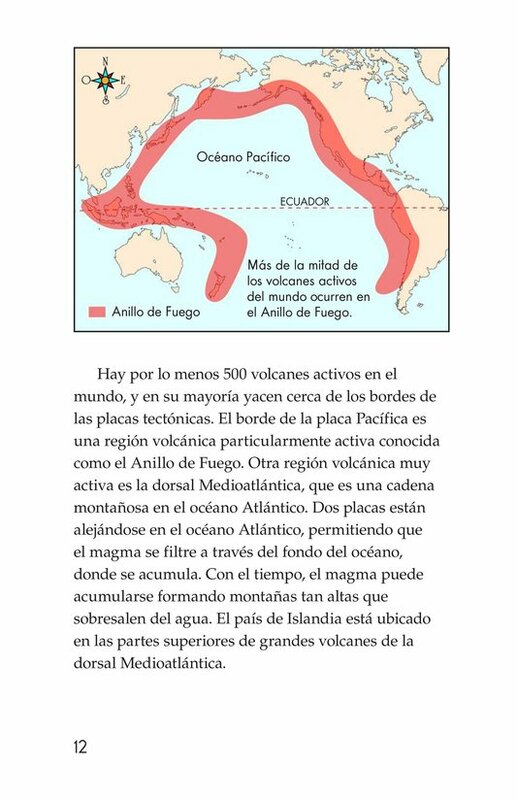 Photographs, maps, and diagrams support this informative text. 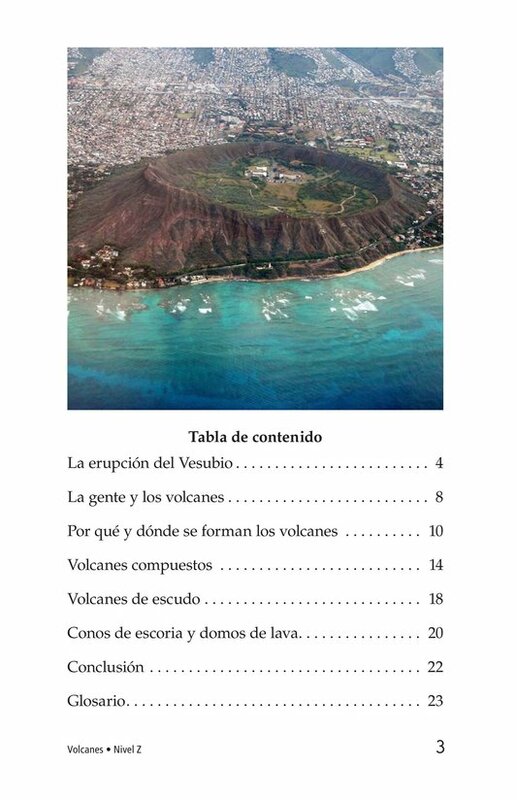 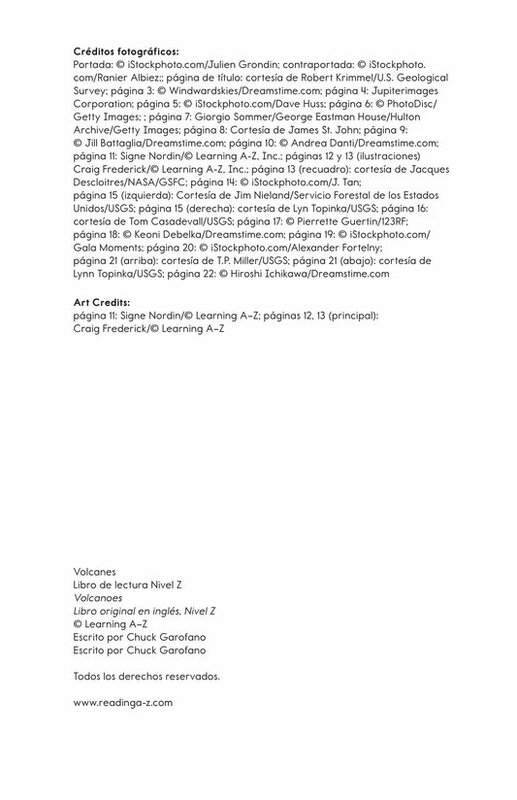 Book and lesson also available at Levels S and V.